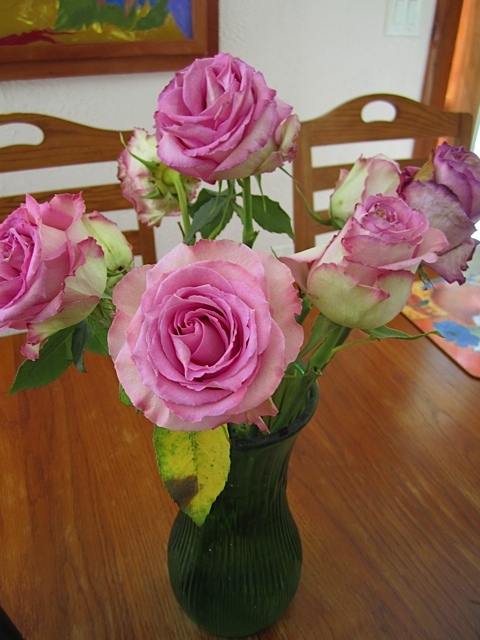 Here is how to profit with an Ecuador rose business. Merri and I love flowers so it was not unusual that we were attracted to an Ecuador rose business. 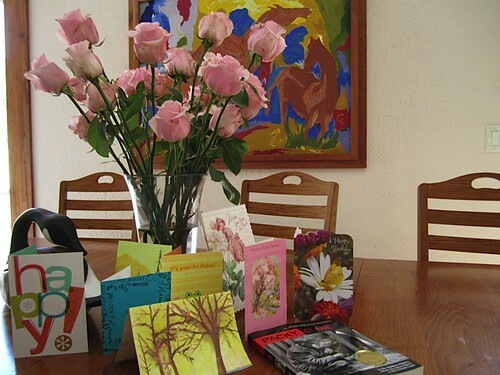 Nor does it seems strange that on Merri’s recent birthday that 50 Ecuador roses arrived with cards wishing her a Happy Birthday. These roses tell a tale beyond good wishes. These Ecuador flowers also show how to have a business opportunity and highlight the extra value of fresh Ecuador roses. At $91, for 50 roses, the price can seem high… until one looks at the entire picture. 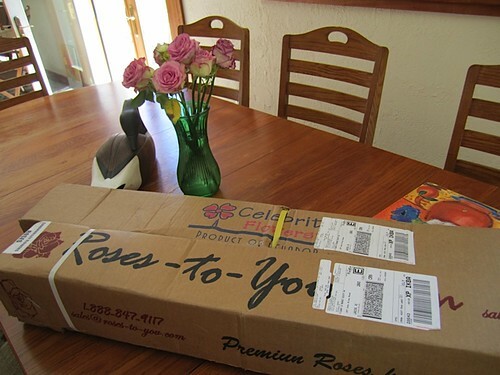 Half the cost of these roses is the Fedex delivery right to the doorstep. That’s worth quite a bit… a big value enhancement but the real value is shown when you consider the real value of Ecuador roses in the number of beauty days they offer per dollar. 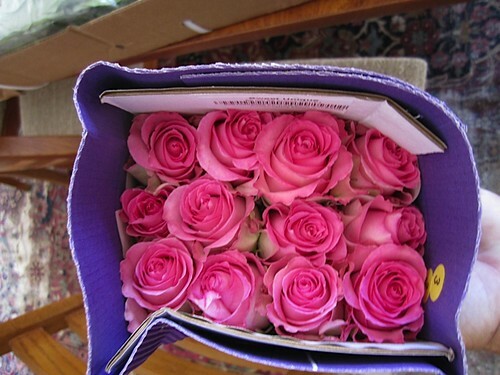 Typically a dozen supermarket roses cost $15 to $19… excluding the cost of getting to the store and back. You have to go there any way. Right? So 50 store roses cost $60 to $79. If lucky they last a week… more often only three days. They rarely have enough energy to fully open. 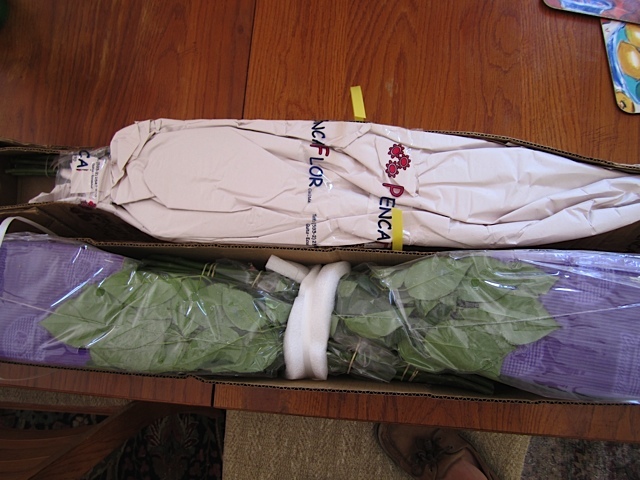 Fresh Ecuador roses arrive looking like this. Fresh cut Ecuador roses also have staying power. One can always expect nine days… but with good care often much longer. Many of Merri’s birthday roses which arrived July 27 were still looking good on August 17… an amazing 21 days! Merri’s birthday roses after 21 days. 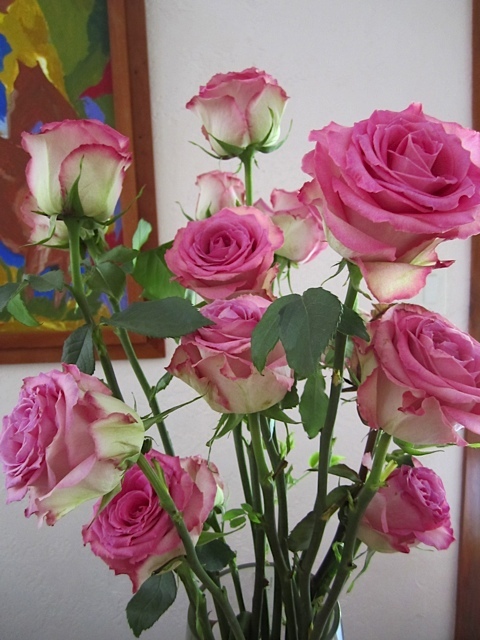 Ecuador rose tip: Pink bi color roses seem to have some of the greatest longevity. 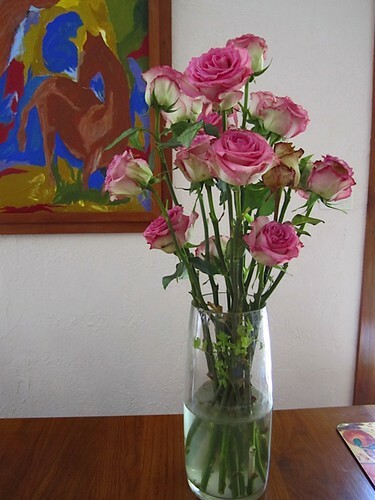 Learn more about fresh Ecuador roses here. 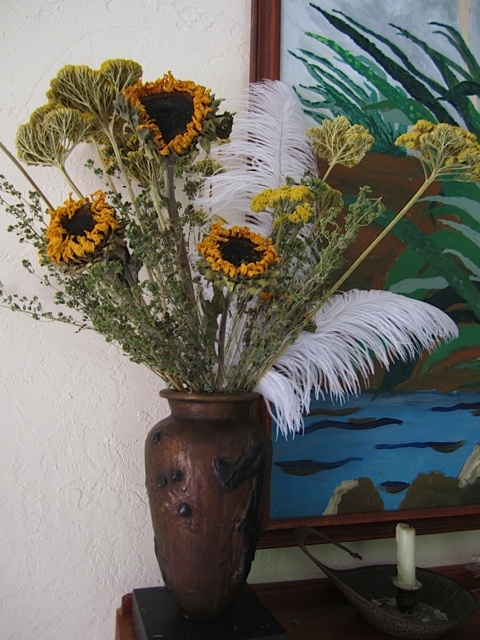 floral arrangements like these… dried sunflowers, yarrow and ostrich feathers. 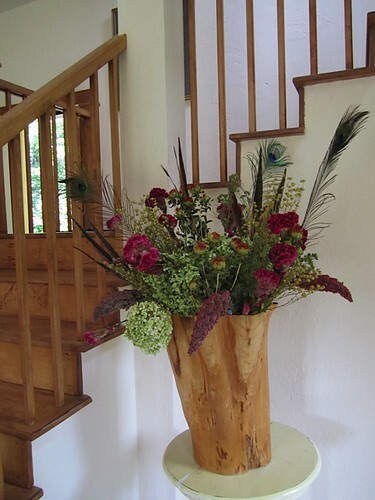 Cotscomb, hydrangea, sumac and poppy with peacock and pheasant feathers at our staircase. With our love of flowers, it is also not unusual that we decided that one of the first turnkey businesses opportunities we chose to organize was involved with Ecuador flowers. 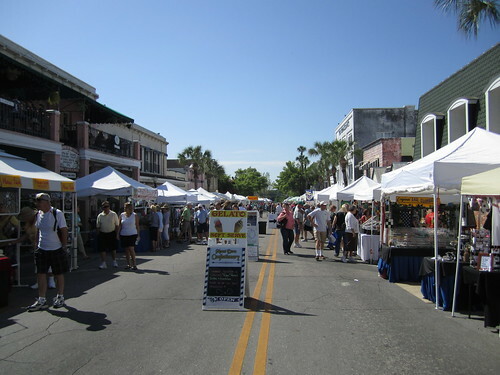 For those who want a turnkey start up micro business, we have started a program to help our readers create their own micro business working with these businesses we have used and like ourselves. You can become an introducer, referrer, dealer or distributor to a number of businesses we recommend. One way to develop an Ecuador rose business is via fund raisers. Because of our love for flowers it is not unusual that we use them to help raise money for good causes. We have raised tens of thousands of dollars to help improve Ecuador schools. Currently we are using Ecuador roses to help raise money for a Free Medical Clinic in North Carolina. The fundraiser is a Gala of Tables… a dinner with beautiful donated table settings set to themes. 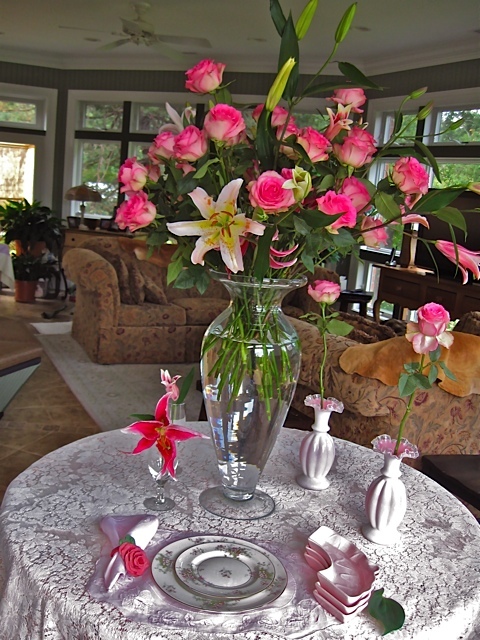 Our theme is “In the Pink” featuring pink Ecuador roses and lilies and we did a test run last week. We immediately put them in a bucket of water. Next day we went to work with our friends and created our test table setting. What fun! I love to arrange and rearrange flowers! If an Ecuador business or flower business is of interest you, see below. Here is how our Ecuador rose business plan works. Those who want to be involved in an Ecuador roses business through our program attend an International Investment & Business seminar plus complete one online international business course. Once any one of these courses (and the seminar) are complete we put those who want a turnkey start up business with Ecuador flowers,directly in touch with our Ecuador flower supplier Roberto Ribadeneira and he provides them the same wholesale price we receive for Ecuador flowers. We do not make a penny more. 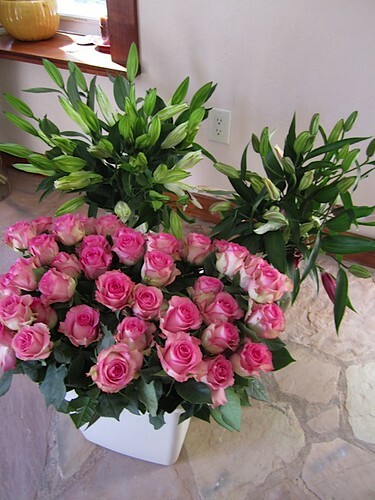 Each Ecuador flower wholesaler receives the same price we do. Roberto Ribadeneira speaking at an Ecuador export tour. See the new Ecuador export tour schedule here. The flower business is too competitive to have multiple layers of markups so our program makes it possible for you to buy direct from the source at the lowest price possible. 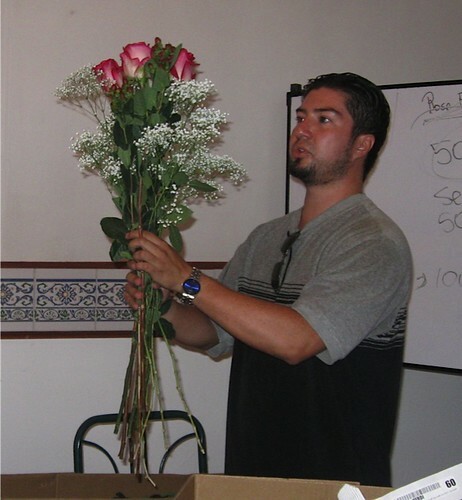 Learn more about having your own Ecuador flower business at our October 7-9 North Carolina Course click here for details. Here is the updated Ecuador tour schedule for the rest of 2011 and winter of 2012. * Special Notes. 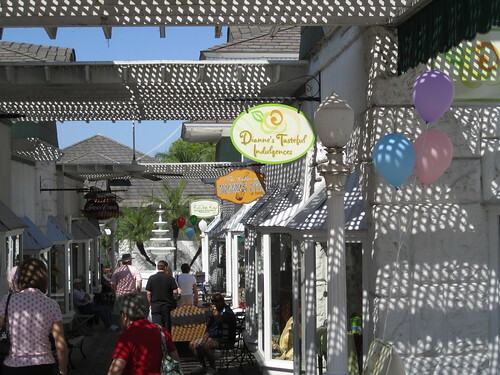 See two new Ecuador Export Tours November 2011 and February 2012. * Seattle Super Thinking + Spanish… only two places left.